See revelations by ABC below commentary. Australia’s democracy requires that all elected officials use a Gifts and Benefits Register, to ensure that business and individuals can’t buy favouritism. The ABC has revealed that Qantas has given parliamentarians ‘money-can’t-buy’ access to its Chairman’s Lounges, in which free everything, free upgrades and double hospitality service staffing are at the feet of the majority of Australia’s major-party MPs. The issue for taxpayers and particularly tourism operators is that no Member of Parliament enjoying the deluxe VIP membership of the Qantas Chairman’s Lounge – including 8 free upgrades to First Class from Business Class (so you don’t have to declare each specific upgrade) will then make a decision against Qantas’ interests. Decisions such as the approval of new airports in regional areas could be considered against Qantas’ interests if that airport would provide competition to Qantas. 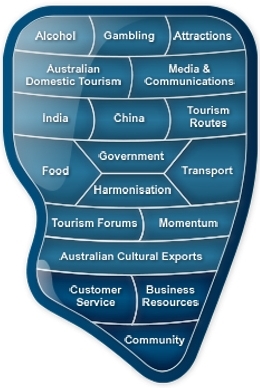 Competition is better for the Australian consumer and tourist; competition is bad for Qantas. The union-busting, share-deal creating Alan Joyce also called the Chairman’s Lounge product “probably the most exclusive club in the country”. Malcolm Turnbull, interestingly, is one of the few major party MPs who is not a member of lounges – perhaps because he is under no illusion that the ‘gift’ of Chairman’s Lounge membership could ever come with no strings attached. The Parliamentary Register of Members’ Interests shows Qantas gives more gifts to politicians than any other company, but rival Virgin Australia is not far behind. The dataset below shows which MPs have been given access to their exclusive airport lounges. Australia’s national airline Qantas is the biggest gift giver to politicians, parliamentary records show. The airline has given at least 105 MPs free access to its exclusive Chairman’s Lounge. Virgin Australia is also a strong contender for the most giving company, with 94 politicians members of the airline’s rival VIP lounge, The Club. 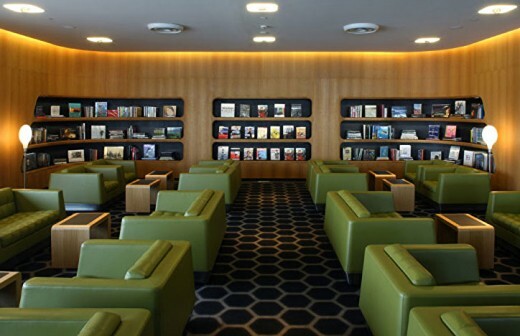 Money cannot buy membership to either of the lounges, but ordinary business lounge access costs Qantas customers $510 a year, while Virgin Australia charges $330 for joining. Both lounges are invitation only, employ more staff and are more private than the business class lounges offered by the airlines. They also offer unlimited free food and alcohol. Qantas also dishes out eight free upgrades from economy to business class every year to VIP members. The guest list for the Chairman’s Lounge is secret, but no more than 7,000 people can get on the list at any time. Qantas chief executive officer Alan Joyce once described it as “probably the most exclusive club in the country”. Around half of wives and husbands of federal politicians have also been given membership and Qantas is more generous than Virgin in extending access to spouses. But spouses are not the only ones to make it into the VIP rooms. The newly elected Labor MP Julian Hill is the only politician whose children are able to access the lounges. 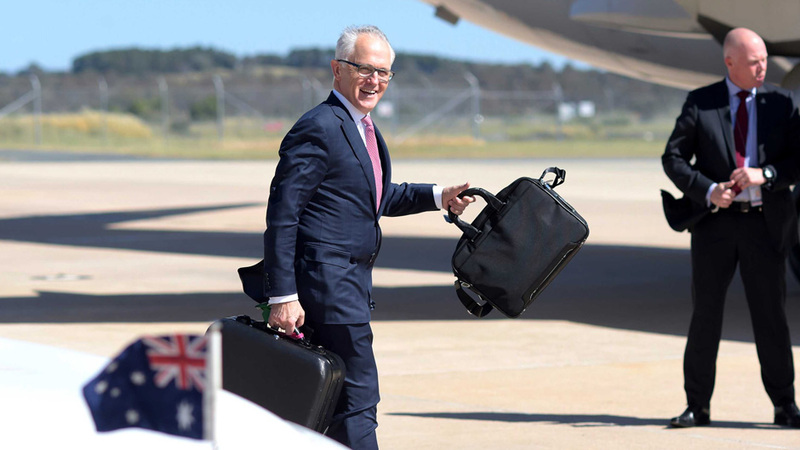 Qantas has a general rule that all Federal MPs have Chairman’s Lounge membership, but the most recent declarations of gifts shows not everyone has a membership. Senate crossbenchers do not seem to have access to either of the elite lounges. None of the One Nation or Nick Xenophon Team senators have listed a membership to either of the lounges. Senators Bob Day, Derryn Hinch, David Leyonhjelm and Jacqui Lambie do not have access either. Labor frontbencher Anthony Albanese has waded into many policy debates involving Qantas, but there is no mention of a VIP membership on his declarations. (For the fully interactive grid, including capacity to sort by MP, Electorate, State and Party, follow this link to the ABC and you’ll find the option half way down the page.